Trine lives in Melkefoss with her family. She is educated a teacher, but left schoolwork to pursue her dreams. She is now a small scale entrepreneur with her own tourist company Birk Husky. 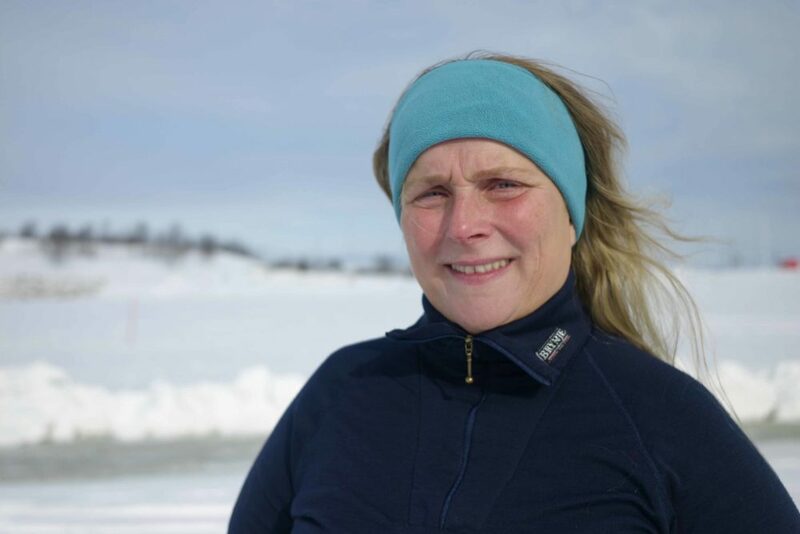 One year as a teacher at Pasvik folkehøgskole gave Trine the chance to teach dog mushing to the students at this ”open air” school. After the year had ended, she stood without a job, but with a renewed belief in taking people out in the woods with the dogs, sharing the love for nature with them. She started her company Birk Husky, and has gone through years of trial and error, as many small scale entrepreneurs seem to do. Today the business is running, and every year tourists from Europe have the chance to taste local food and visit the area in summer, and move into the forests with dogs and sleds in the winter. When having guests, she always gives tourists the opportunity to ask questions about the area. In this film we can hear a German tourist ask if she speaks Finnish and Sami language, seen that she has this background. She says “no, unfortunately not”. The longer answer is that her family, like so many others in this region, has lost this language to assimilation. Trine has made her great passion, dog mushing, into a way of living. But along with this passion comes a worry about the growing industrial interest in the vast mineral resources of the north. When the iron ore mine Sydvaranger Gruve started their quest for iron ore in 2009, with Australian investment backing, she started a Facebook group who demands that the company must stop poisonous spills in the fjord. The mine has later closed, but hopes to reopen again. Sydvaranger Gruve AS says that mining will always have an impact on the environment, and that it is his vision to run the mine as environmentally sustainable as possible, within the permits and legislation given by Norwegian authorities. The Norwegian government, as well as international companies, is eager to further exploit the mineral resources of the high north. Norway is one of few countries that allow tailing of mineral waste into its fjords. Watch a movie about her!